I want to introduce you to a new and very talented musician/songwriter/producer who has been working with my daughter. 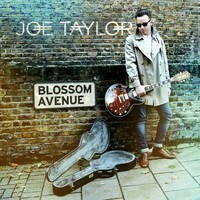 Joe Taylor’s EP draws on his influences of soul, blues and pop. He comes from Yorkshire and grew up listening to artists such as Curtis Mayfield, The Temptations and Ray Charles. He has recently been studying at the prestigious Leeds College of music, performing in bands and session work, and has been developing his own sound as a solo artist. He has been personally involved in all areas of the production on this EP. Listen to it and share it with your friends. He is going to be a huge success. The good news is that it is available for free download. This entry was posted in People, Recommendations and tagged Joe Taylor. Bookmark the permalink.